Athletes are always looking for a mysterious remedy that will help them meet the demands of the competition. They believe that some food products can be an energy material that will contribute to a better result. Although nutrition of athletes is based on scientific research, many myths still exist in this area and misunderstandings occur. You have probably met with such views. However, the question arises – do you know the facts? Avoid carbohydrates (sweets) before training and competition. Consumption of carbohydrates (sweets) before the competition results in an increase in the concentration of glucose and insulin in the blood. This phenomenon is correct. Sweets are a type of carbohydrate. The intake of carbohydrates, both in foods and beverages, can lead to improved exercise capacity. An athlete who does not have adequate energy resources is tired and is unable to make the effort at the highest possible level. Drinks intended for athletes fulfill their purpose only during efforts lasting more than one hour. Consuming sports drinks can be of benefit to anyone in their efforts that last less than one hour, especially in the case of intense exercise on a hot day and in high humidity. Athletes who practice disciplines consisting of the immediate transition from immobility to sprint (eg football, tennis, hockey, basketball), can benefit from consuming products containing carbohydrates and electrolytes, as a result of which they increase their intake, which is important in the case of dehydration during efforts lasting less than one hour. Consumption of sports drinks is an easy way to improve exercise capacity and prevent dehydration of the body. The image of a perfect figure is only a woman’s dream. Male models of perfect figure are increasingly popular among men – from professional wrestlers to men with an ideal structure, presented on the covers of magazines. Therefore, among men, dissatisfaction with their appearance increases. An unjustified concern about disturbed proportions in body structure, figure, worrying about an imaginary or slight defect in one’s appearance is treated as a mental disorder. Many trainers and athletes may not be aware that this phenomenon applies to both men and women. 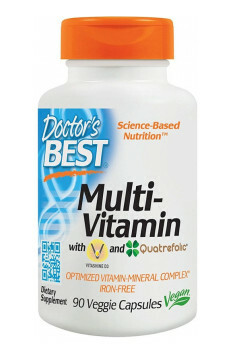 Vitamins and minerals provide athletes with additional energy. Vitamins and minerals are only factors that interact in the release of chemical energy found in food, but they do not provide additional energy. Properly planned meals containing cereal grains, vegetables, fruits, meat and dairy products are a source of sufficient energy. Such meals also supply the body with vitamins and minerals necessary for the proper course of energy transformation of the body. Administration of multivitamin supplements may be necessary for some athletes, but they do not provide additional energy in themselves. The ideal diet should contain 40% carbohydrates, 30% proteins and 30% fat. Some nutritionists recommend that 40% of the daily energy requirement should be covered by carbohydrates, 30% protein and 30% fat. Diets containing such proportions of nutrients can impair exercise ability because they are low in calories and contain too little carbohydrate. Scientific research has shown that in a diet beneficial to athletes, about 55-58% of carbohydrate-derived energy, 12-15% of proteins and 25-30% of fat should be included. You can read also: Vitamins for her and for him – does it matter?